Alzheimer's Disease is typically a disease seen in patients over the age of 65 but a family history of the disease can lead to early-onset AD. Certain warning signs and diagnostic studies can help diagnose the disease quicker so treatment can be started. Alzheimer’s Disease is a disease marked by cognitive decline and deterioration of brain functions in patients. This is something that is typically seen in patients who are older than 65 years old but early-onset AD is seen in about five percent of the population. Although it is rarer, it is something that you should be aware of, especially if you have a family history of this disease. 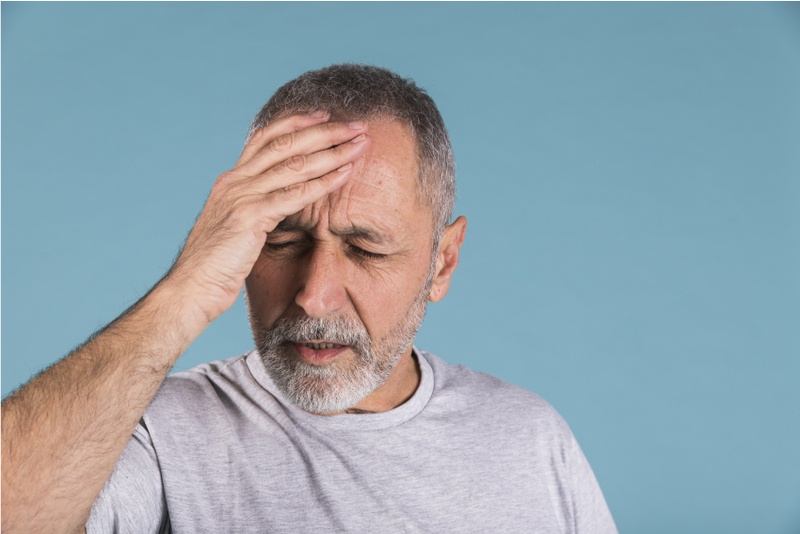 In this article, we will explore some of the most common early warning signs of AD, how to diagnose it and what types of treatment options are available to people diagnosed with early onset Alzheimer’s Disease. Patients will likely forget important things like dates and names, especially information that was recently learned. As a result, the patient with early onset AD will likely repeatedly ask for the same information. These problems can also lead to difficulty with solving basic problems and patients may have problems paying their bills or following a recipe. The more troubling symptoms that are likely would be losing track of where you are. These patients can easily get lost as they leave their house and can wander the streets for hours. This brief amnesia may not resolve for a few hours or days so this can be quite troublesome for family members if a loved one is lost. It is wise to install GPS tracking software in these patients in order to help find them. Patients are often not happy about these types of measures early on in the course but taking these preventive measures early on can save you a stressful and anxiety-filled situation as you try to retrace a loved one's steps before they got lost. Unlike the more traditional form of AD, early onset AD is a disease with a more pronounced link to genetics. There are some genes in our DNA that can predispose us to have AD at a younger age. In reality, it is an unwise decision to go to your local hospital and ask for a DNA test to check for these genes because of the cost of such a test but if you have a history of early-onset AD, it may be something your neurologist would consider. The symptoms of early onset Alzheimer’s Disease are almost identical to what you would expect if you have the symptoms of AD at a later age. The issue with this earlier presentation though is that the phases of AD may be much faster and patients can deteriorate faster if you do not do your part to help augment the course of the disease. Patients will also begin to have changes in their personality and find it difficult to jump into conversations. It is important for family members of the affected patient to remember to give the patient opportunities to participate in conversations to keep them engaged. Do not make derogatory comments to the patient about their inattentiveness or lack of participation in a conversation as this may prompt negative outbursts in a patient. This is part of the disease course so if the patient shows resistance after even some minor encouragement, allow the patient to sit out the conversation. Poor judgment and decision-making can also manifest so patients should be monitored closely to make sure they are safe. As the disease lasts, symptoms will become more severe and patients will likely have severe mood swings. They may also become suspicious of close friends and loved ones and attack them without provocation. Eventually, walking, talking and swallowing can become problematic which can also present a range of difficult new challenges for caregivers. How is Alzheimer's diagnosed and what treatment options are available? You may also benefit from a meeting with a neuropsychologist to help assess mood changes. Blood tests, urine and CT and MRI imaging can also help pinpoint the severity of the disease in order to tailor therapy to be as useful as possible. Medications that can be started at this stage will be the ones that you will typically encounter during your AD therapy. Donepezil, Memantine and Rivastigmine are some of the main drugs on the market that can help improve your mental function. They will help improve the chemical signals in your brain so neurons can fire more appropriately. When this occurs, neurons are able to transmit signals for longer periods without interruption so you will be able to retain facts more easily. These medications have a limited effect, however, and patients tend to have a decline in effectiveness within a year of beginning the drug. Other treatments that may be helpful would be managing comorbidities that could also enhance the progression of the disease. Managing blood pressure, regular exercise and having blood sugar levels in check can help delay the advancement of the symptoms. Even regular memory testing, especially through the use of mobile applications, can provide mental training to help patients retain some of the smaller details they find escaping their memory. As it stands now, we do not have a definitive cure for the disease but studies seem to suggest that the earlier this disease is diagnosed, the better the prognosis is for the patient. Meeting with a physician early on can help sustain the everyday functions of a patient and give them the best quality of life possible with the disease. Research is ongoing on this topic so better studies and therapies are not far on the horizon. Lipitor atorvastatin causing migraine headaches? What medicine is good for the chronic migraine headache?